Saddle Brook Stables is nestled in the hills of Tennessee atop the beautiful Cumberland Plateau. 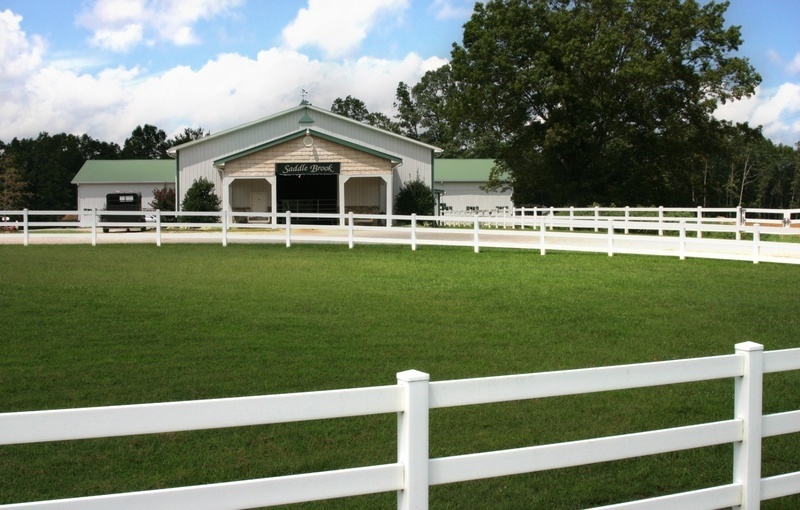 We are located just outside of the Big South Fork National River and Recreational Area where thousands of horse lovers visit each year. Saddle Brook is owned by the Allred family; Fred, Brenda, Freddy, Jon, Bethany, and Andrew. Saddle Brook Stables is one of God's great blessings in our lives. We are deeply grateful for the privilege to work with one of His most beautiful creations on a daily basis. Our adventure began on June 1st of 1992 with the purchase of our first pony, "Dusty." Our first Tennessee Walking Horse was purchased in the following August at the Tennessee Walking Horse National Celebration. "Midnight Crescent Moon" was a black two-year-old filly directly by Prides Generator. Little did we know that she would be the beginning of a horse lover's dream. Over the years, we have enjoyed raising horses with champion bloodlines and beautiful coloration. We strive to improve the breed's overall conformation, disposition and gait while placing an emphasis on color as well. Our goal is not to change the breed, but to enhance it, while maintaining the many spectacular attributes that have brought it so far today. We dearly love the business and thoroughly enjoy the fellowship with other horse enthusiasts. Above all, the practice of Godliness and integrity is of utmost importance in our daily lives and in the operation of our farm. We are blessed to have a wonderful staff at Saddle Brook who are more than happy to assist you in any way. We do our best to represent each horse with complete honesty, so please feel free to ask as many questions as possible. Joshua 1:8 ~ "This book of the law shall not depart out of thy mouth; but thou shalt meditate therein day and night, that thou mayest observe to do according to all that is written therein: for then thou shalt make thy way prosperous, and then thou shalt have good success."